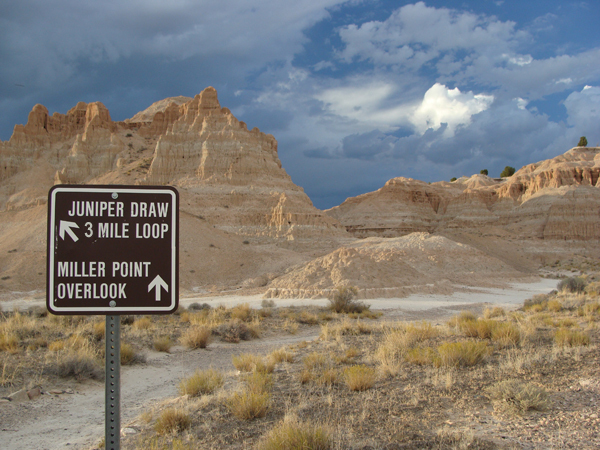 The Juniper Draw Trail is located at Cathedral Gorge State Park. The trail takes hikers through the park’s magnificent formations. Cathedral Gorge is located 1 mile north of the intersection of US Highway 93 and State Route 319. The park sits at an elevation of 4,800 feet and is open year-round. The area is typically arid with hot summers and cold winters. Summer temperatures range from 95º F at midday to 55º F at night. Rainfall is variable and thunderstorms are common.